The minivan has always been the kind of car one buys out of necessity, rather than out of desire, but Chrysler – the company that popularized the minivan in the first place back in the 70s – has now given us a minivan that is truly desirable with the all new Chrysler Pacifica. In every area, from its looks to its performance and technology, it is innovative and fantastic. When you get behind the wheel, you will quickly forget that you are driving a seven-seater with sliding doors. The Pacifica is truly a perfect vehicle for serving Bunker Hill Kokomo Rochester Indiana car buyers who need a car with space, but want a car with excitement and refinement. So come visit us and test drive 2017 Chrysler Pacifica by Bunker Hill IN to see for yourself this exciting new reimagining of the minivan from Chrysler. Approach a 2017 Pacifica on the lot and you can tell that it is a minivan, but only just. Only the overall shape of a vehicle with three rows of seating and the telltale sliding doors give it away. Elsewhere, the Pacifica’s exterior is purely modern chic. The front end follows the designs perfected by Chrysler on its recent 200 and 300 sedans, with a narrow nose, smooth offset curves and headlights that visually pop out while still bending into the overall line of the body. The rear end, on the other hand, borrows heavily from SUV design language, using the combination of taillights and liftgate to create a unique visual architecture that easily sets the car apart from its peers. Even the middle section of the exterior styling gets a few stylish touches, like a rakish belt line crease running through the handles of the front and rear doors and ending in a sharp hook near the fuel tank door. Visually, this is very much a new kind of minivan. Outside of the familiar three-row shape that defines the minivan class, the inside of the new Pacifica feels truly unique. It is incredibly bright thanks to a large moonroof that runs the length of the vehicle and is dressed up in complimentary colors and accents in several upscale color palettes. Even the traditional styling element of the minivan – the straight upright dashboard – has been tossed out and replaced by a curved cockpit-like sculpted surface that can easily have been designed for a racecar or a luxury sedan. But that is not to say that it gives up on its role of a people carrier; quite the contrary, there is plenty of space for up to eight people, including in the surprisingly spacious back row. The two rear seating rows fold seamlessly into a flat loading surface for a trip to the furniture store or hauling gear as well, adding to the Pacifica’s versatility. You may think it is silly to discuss a minivan’s performance characteristics, but that feeling will only last until you’ve had a chance to Test Drive 2017 Chrysler Pacifica by Bunker Hill IN. First there is the impressive powertrain: a 3.6-liter V-6 with 287 horsepower and 252 pound-feet of torque on tap and a nine-speed quick-shifting automatic transmission. This power easily turns this seemingly-timid people carrier into a speed demon. The rest of the car’s mechanics have also been designed with performance in mind. The high-tensile strength steel does not only get the Pacifica great safety scores, but also helps maintain body rigidity during turns and minimize rollover, while the carefully-calibrated suspension and electric power steering allow it to effortlessly float through turns even at speed. It may not be a performance minivan, but it is close enough that Chrysler designers have contemplated releasing a version with the 707-horsepower Hellcat engine. 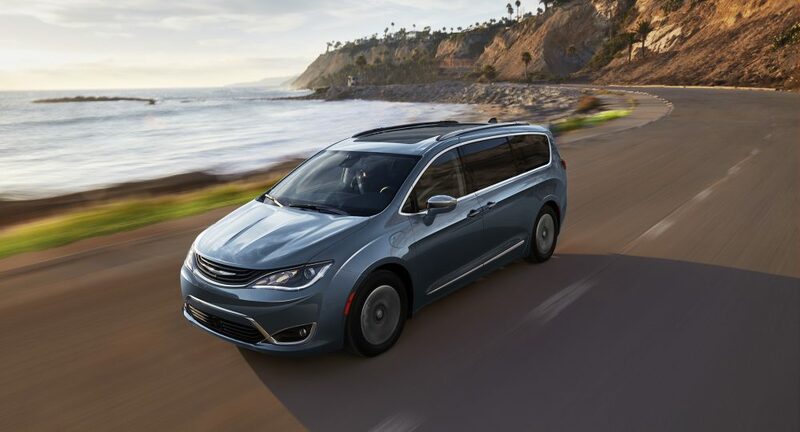 The Pacifica stands out not just in terms of styling, performance and comfort, but also in terms of one of the most important qualities for a minivan – safety. Every agency to test the new Pacifica against their rigorous crash avoidance and crash protection tests has given it an exemplary report card. The National Highway Traffic Safety Administration gave it five stars – the maximum – for its crash testing, noting its strong body structure and safety features. The Insurance Institute for Highway Safety agreed, giving the Pacifica top crash test scores as well as its highest rating for safety technology, calling it ‘Superior’. Based on those assessments, the 2017 Pacifica takes home the prestigious and hard-to-get Top Safety Pick Plus award from the IIHS, awarded only to the safest vehicles on America’s roads today. There is no doubt about it: the 2017 Chrysler Pacifica is changing the game completely when it comes to the minivan segment. Its styling is simply exquisite, while its performance and safety credentials leave it significantly ahead of any competition. 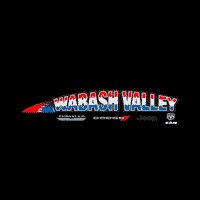 So if you need a minivan, but want something that you can enjoy both looking at and driving, there is just one thing to do: contact Wabash Chrysler, our dealership serving Bunker Hill Kokomo Rochester Indiana and schedule your Pacifica test drive today and feel firsthand the minivan of the future. * Please take note that this is an informational review. All information presented here is based on opinion. To learn more about the Chrysler Pacifica and get all of the detail about the vehicle, please contact our dealership.